Self-confessed studio junkie Yves Larock must be getting high on his equipment of late, as he continues his massive run of production gold into the New Year. Kicking things off with another double-hitter 2 following January's 'Friday Is Dark / Tape' EP 2 Yves releases 'We / Dynamite Sound System' through his Millia Records imprint on February 24 to a waiting world. Relying on a simple but effective hook and the vocals of Izrah, 'Dynamite Sound System' sees Yves explore dark electronic tones underpinning roaring synths crescendos and crashing percussion. Panning fluttering rhythms of sound over structured layers of an identical riff, 'We' showcases Yves' masterful craftsmanship of the three dimensional composition of electronica. Building with each phrase along a multitude of sonic levels, the track works its way towards a sumptuous breakdown, the addition of thundering basslines giving it epic arena proportions. 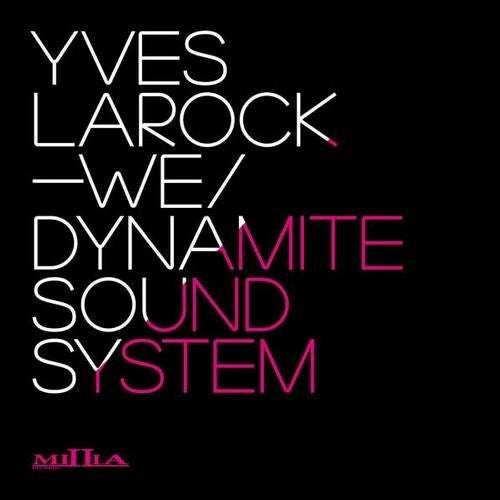 Yves Larock 2 'We / Dynamite Sound System' is released on Millia Records throughout the world and also on www.beatport.com on 24 February 2012.